If you’re hoping to make any new year's resolutions, it’s likely you’ve kept them within certain parameters. It’s easy to give yourself a long laundry list of things you’d really like to improve, but which ones are truly important to you? We’d like to hesitate a guess. You’ve likely told yourself this year you’re going to find your true love, become fitter, get that promotion, socialize at least twice a week and read fifty books. You want to travel to a new country like Australia three times a year, while also maybe launching your new business. It’s likely you want to become even more profitable, or finally own your personal house. These are all wonderful desires, but they’re a little much don’t you think? Whatever happened to simply goals you can realistically achieve? Whatever happened to hoping to be a little bit nicer? If you’re looking to be better to people, you need to practice it. We’re here to offer you some of the best tips to achieve this goal. We know that by the end of this article, you’ll be that little bit more skilled with handling and befriending people. Like anything, espousing daily kindness requires some level of practice. It’s not easy to do this sometimes, especially when you may have only exercised these muscles on the surface for some time. Head to a new location such as a community hobbying event, or develop a more complete understanding of the people around you by taking a genuine interest in them. Take more chance dates from Plenty of Fish or another verified dating website. Get out there! It’s likely that the more people you meet, the better you’ll feel, and the more genuine interest you’ll keep for most of them. This is perhaps one of the most important considerations on this list. When you look good, you feel good, and when you feel good, you look good. These two things inject each other with a sense of authenticity, and how can that do anything but make you feel confident? Develop yourself through fitness, meditation, reading and generally learning about the human condition through your own effort, and you’ll become that much more emotionally calibrated and able to deal with people in a more wholesome sense. This means you need to figure out the beauty of your wardrobe. If it’s lacking, improve it. Heading to the beach? Wear some beautiful airy dresses with tasteful rose gold jewellery and tasteful summer sandals. It could be starting to accentuate your outfits with a new and tasteful accessory such as a hat, or some other beautiful implement. It could be trying on new and more fitting dresses on account of your fitness efforts. Most people consider very attractive people to be ‘mean’ a default. Of course this is incorrect, but you’ll be fighting this perception even more with your new attitude and look, arguably doing a societal good. The most attractive thing you can wear is a smile. As humans, we are wired to experience the smile of another person in nothing but a positive manner. It can feel wholesome to know that someone is happy enough to talk to you and is smiling while doing so. No matter how popular we are, we all have that need. Providing your great smile for other people is like shining a light of love upon them. It sounds overdramatic, but truly this can be one of the subconscious highlights of someone’s day. Just be sure to work on your dental hygiene, maintenance and breath to make this smile as beautiful as you intended. You know, sometimes small talk is all that’s needed to familiarize yourself with another person. 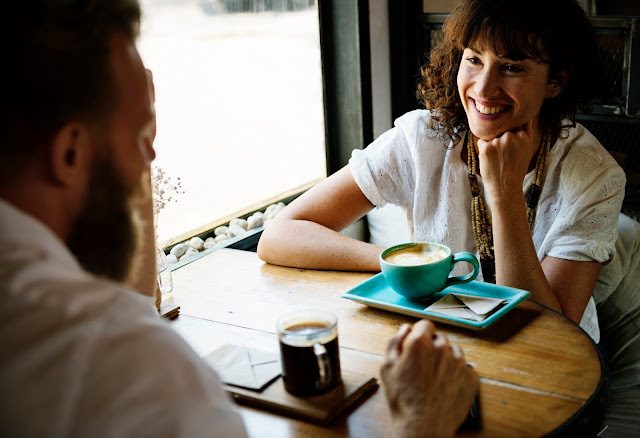 While small talk is considered to be a ‘waste of time’ or ‘unimportant’ in popular trendy perception, nothing could be further from the truth. Explaining your deepest ideas about reality, religion and political theory is absolutely not something to speak of with everyone, meaning that sometimes the surface level communication means the most. It’s not insignificant, and it does matter. Simply asking about the weather, respectfully asking how someone’s family is holding up, talking about their recent trip to Australia, or asking someone how their journey into work was can all show that you’re interested in what someone has to say. That’s a great feeling to give someone, and in a personal sense it nurtures feelings of caring and community. You can be sure that if you practice these tips, you’re much more likely to enjoy a resurgence in your social skills and positive contacts.